If you’ve never applied for a mortgage before, there are a few essential pieces of information you need to know. To start, you should have a deposit of at least twenty per cent of the home’s value, a steady income along with a good credit history. 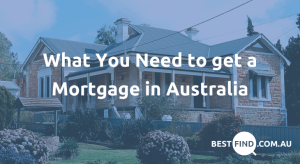 Let’s take a look below over the things you need to get a mortgage in Australia and how to make application approval just that little bit easier. First things first, you’ll need a copy of as much personal information as you can get. If you’re applying for a mortgage from lenders, you’ll need to provide information on your employment history, previous addresses, plenty of information on your current assets as well as a comprehensive look into your income and expenses. Now that you have some idea of the types of personal information you’ll need to get a mortgage in Australia, we can move on to determining what you can afford. A second step in getting a mortgage in Australia is understanding what you can afford and making lifestyle changes to ensure your lender knows you can afford to pay it. To make it easier to determine if you can afford the loan, begin with your income each month and take out the expected loan repayment. From there, work out whether the leftover income is enough to pay your bills and general everyday expenses. 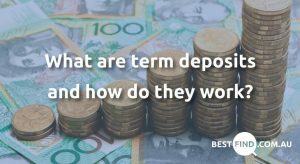 For a better chance of success in your mortgage application, it’s also a good idea to have a deposit saved up prior to your application. This way you’ll be able to reduce your monthly repayments and show you’re a responsible saver. If you’re planning on taking out a loan from banks like St. George, there’s a great mortgage deposit guide to give you some information on how best to meet lender requirements as well as how to become a low-risk borrower. As we mentioned above, a deposit is essential to reduce your loan amount. However, depending on which bank you choose, your minimum deposit amount may change. If you’ve saved only 19 per cent or less of the value of the home you’re looking to buy, you’re considered a high-risk borrower and will need to pay lenders mortgage insurance. We suggest spending a year or two building your savings account for your deposit, as it’s more financially wise to pay less interest and rely less on a 90 per cent loan. To many Australians, a mortgage is the biggest loan they’ll ever have. And with that said, you must be able to show lenders that you’re capable of being frugal and responsible with money. 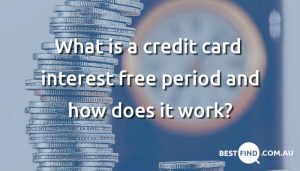 One way to do this is by setting up a long-term savings account and regularly depositing into it. This account could even be your mortgage deposit account. This account will show lenders you’re able to pay repayments on time, in full and not default in the future. If you do have a bad credit history, there is some good news, and that is that it’s repairable if you work hard. The truth is, a bad credit score will stay with you for a decade, though lenders rarely focus on financial decisions from a decade ago. Work to rebuild your score for two years prior to your mortgage application and you’ll be on track for approval. Even if you have a solid credit score, having spotty employment history is likely to leave your application in the rejected pile. There’s little point to applying for a mortgage in Australia if you’ve jumped from job to job in the months leading up to your mortgage application. On top of this, if you’re in-between jobs it’s also not the best idea to apply either. What we suggest is that you be employed for a solid three months prior to submitting your mortgage application, and ensure you’re going to stick with that job for the foreseeable future. This way there’s little chance of financial hardship and defaulting on your repayments.